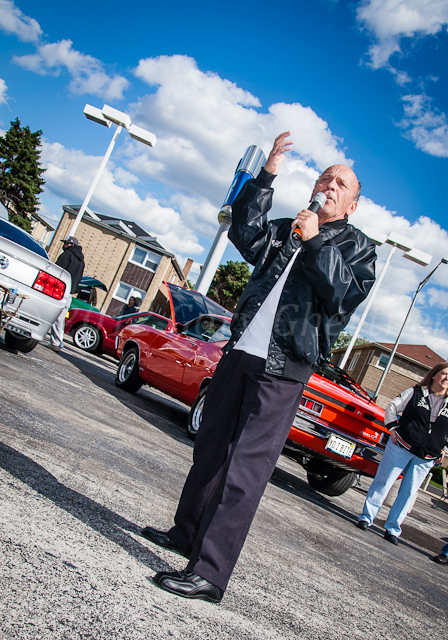 Joe Rizza Ford in North Riverside cleared out the used car lot for 50 to 60 cars on a terrific Sunday afternoon for a dandy car show! 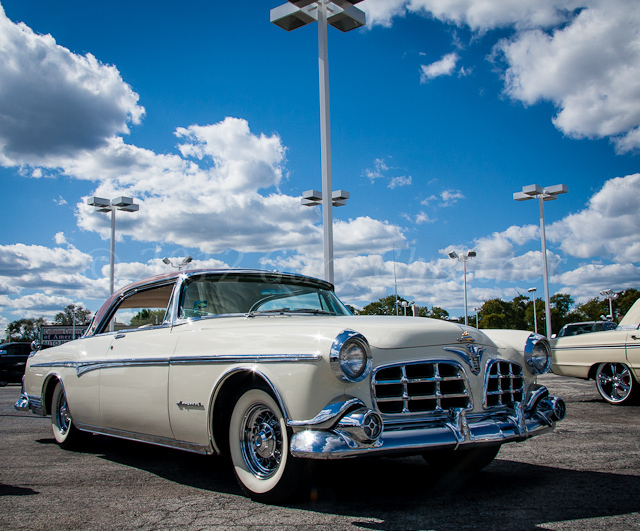 The clouds add a touch to my photos. 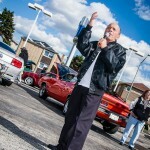 DJ Tom (familiar to all who attend Westchester Cruise Nights) provided entertainment with a great mix of oldies. 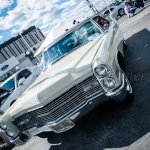 My music section is here and this link takes you to my ‘teaser’ photo gallery. 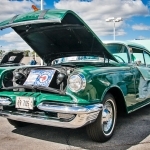 A 1953 Kaiser American oops, Kaiser Manhattan two door (most were four door models) struck my fancy. Carmela’s uncle Bought this car new in 1953 and it’s been in the family ever since. It had deteriorated and he was in the process of restoring It when the rusted floor board so became too big a problems I he thought of parting it out. 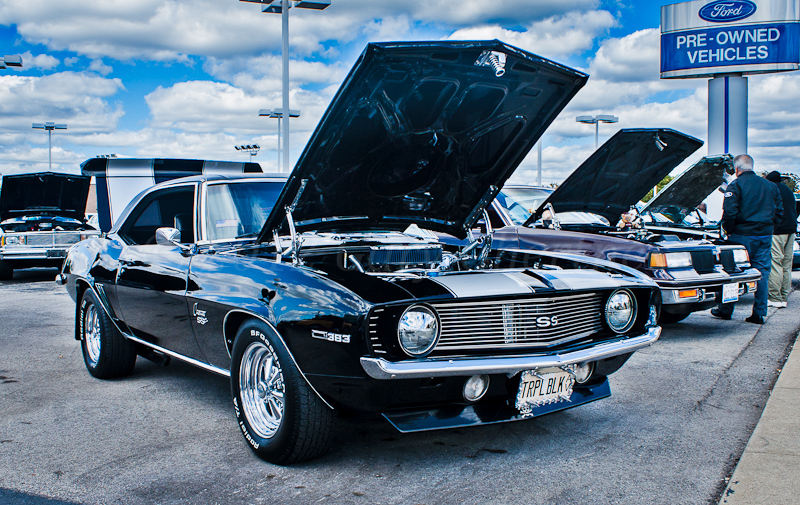 Carmella would hear nothing of that’s and she convinced him to let her restore it, and the work was just completed before the Rizza show. 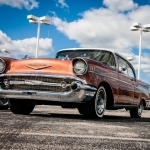 It’s restored original; the body is painted copper dust and Austrialian beige is the color of the top. 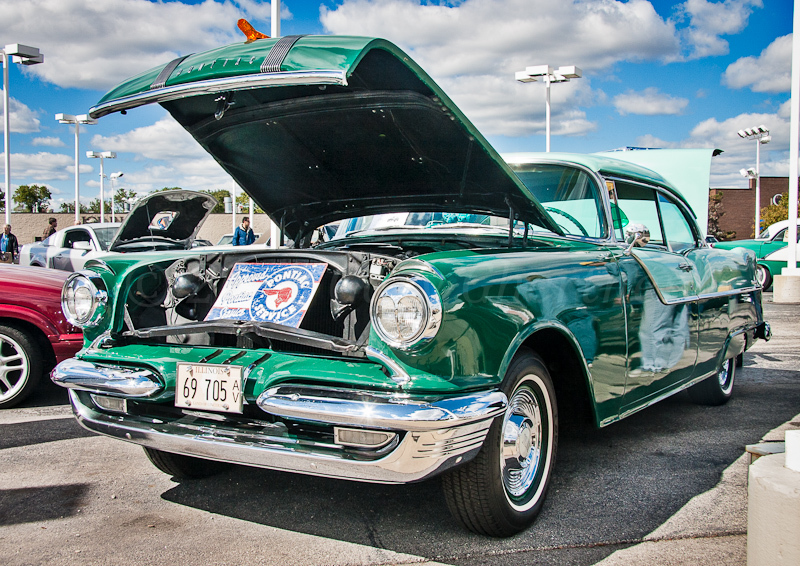 The interior is also amazing with two tone upholstery. 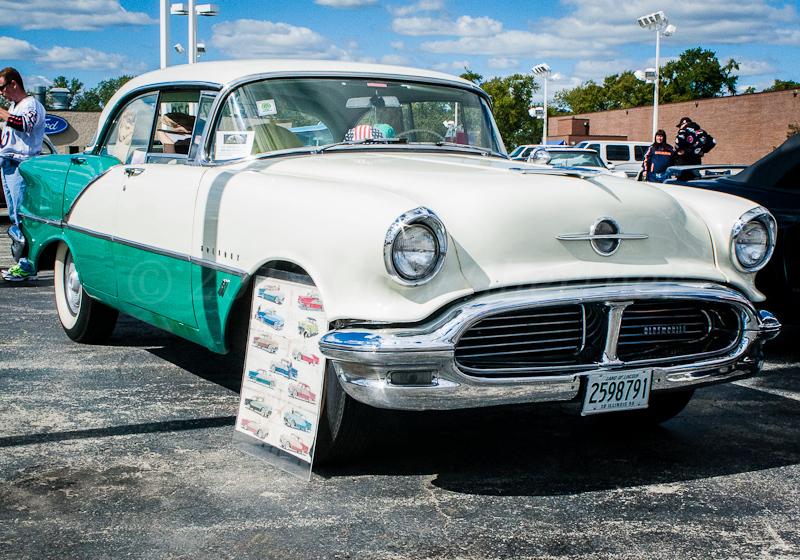 Carpeting the rear but in the front the floor is covered with a rubber mat. 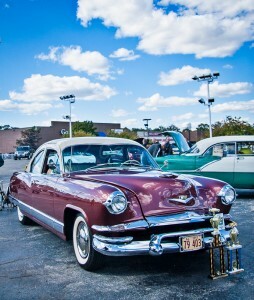 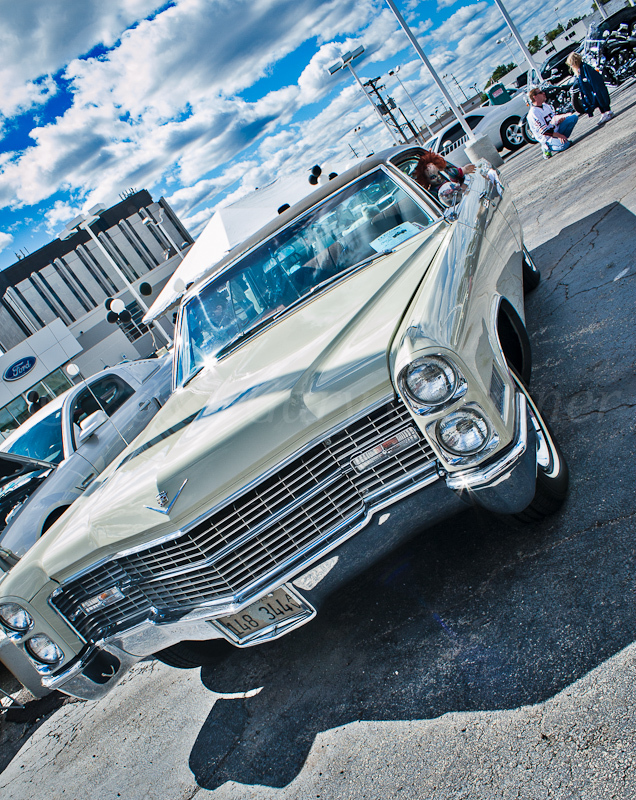 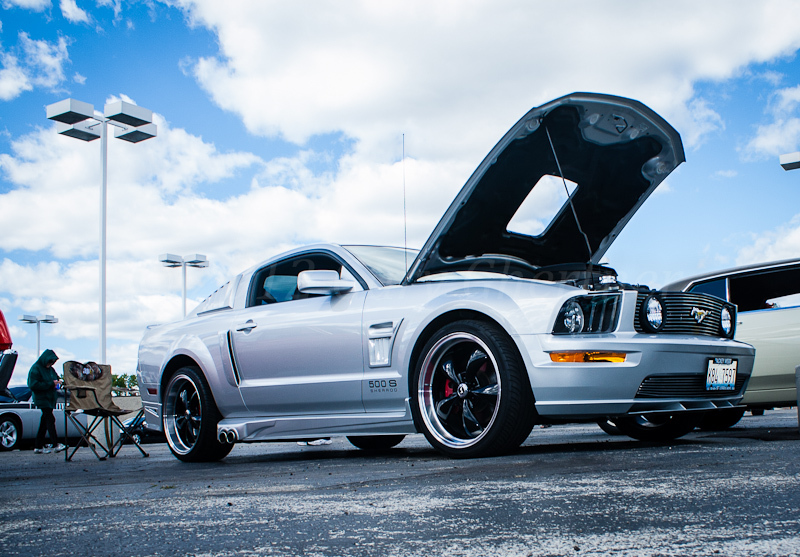 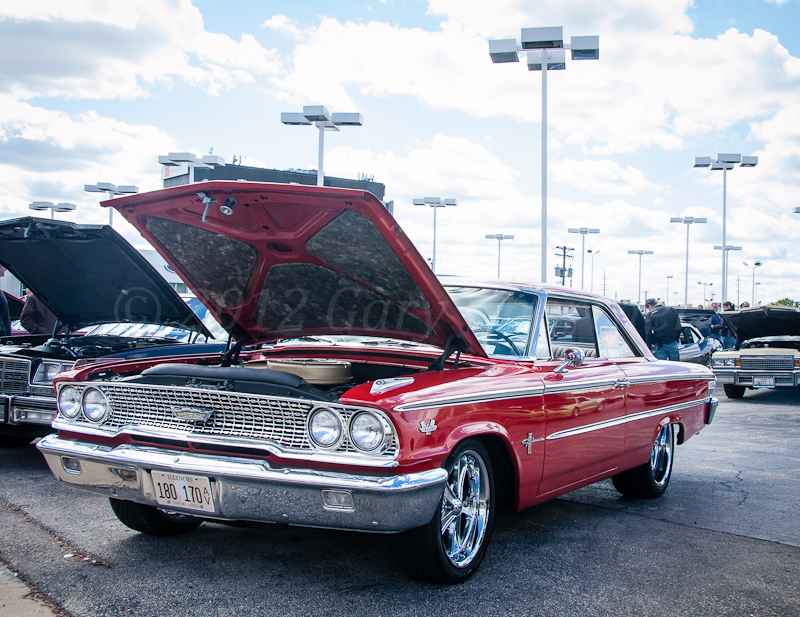 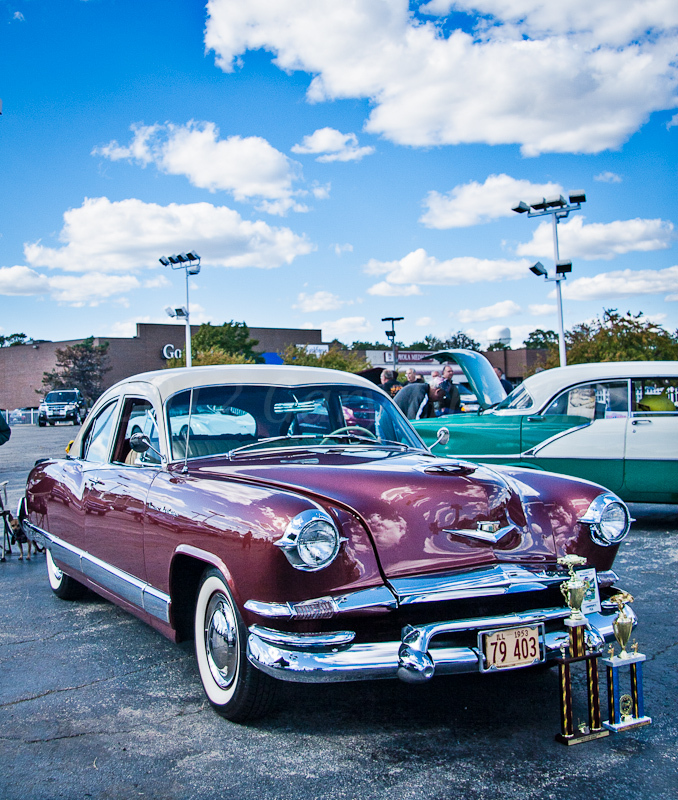 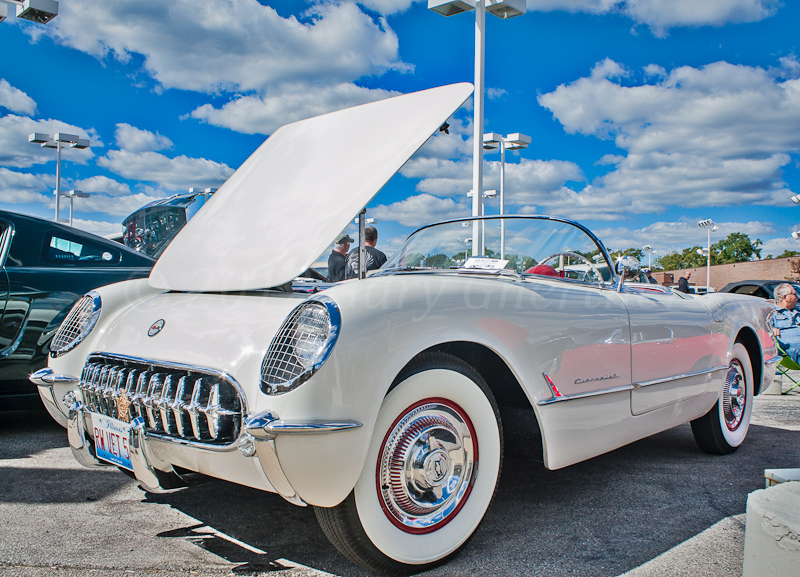 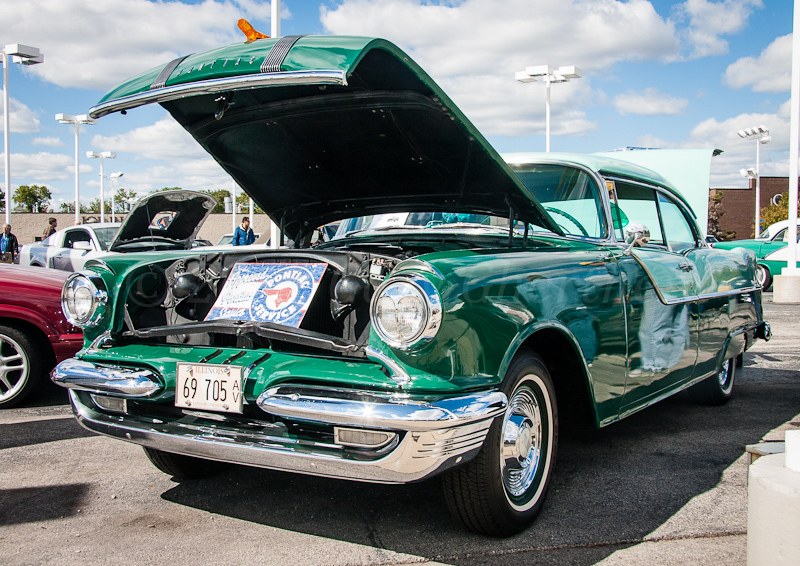 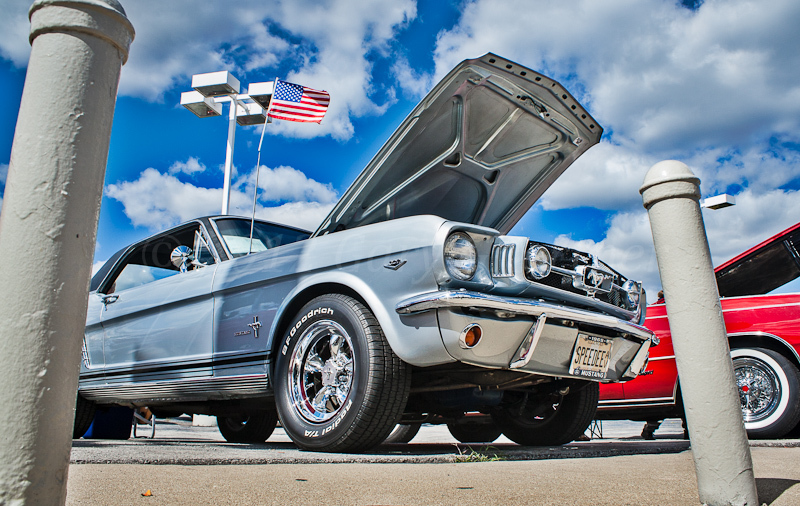 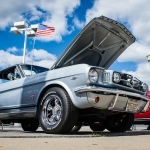 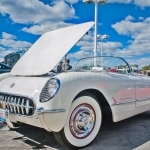 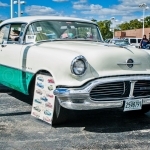 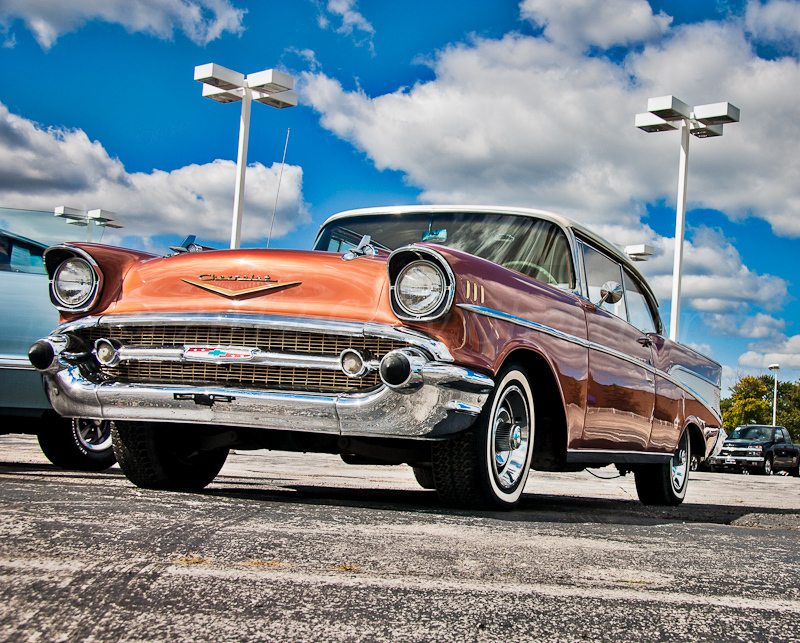 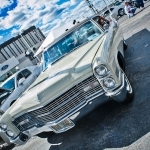 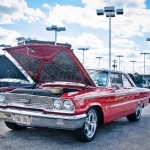 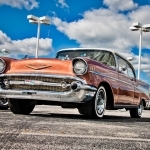 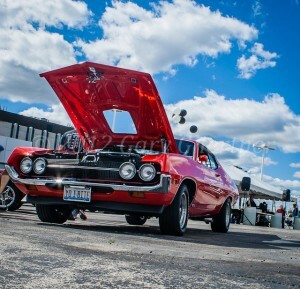 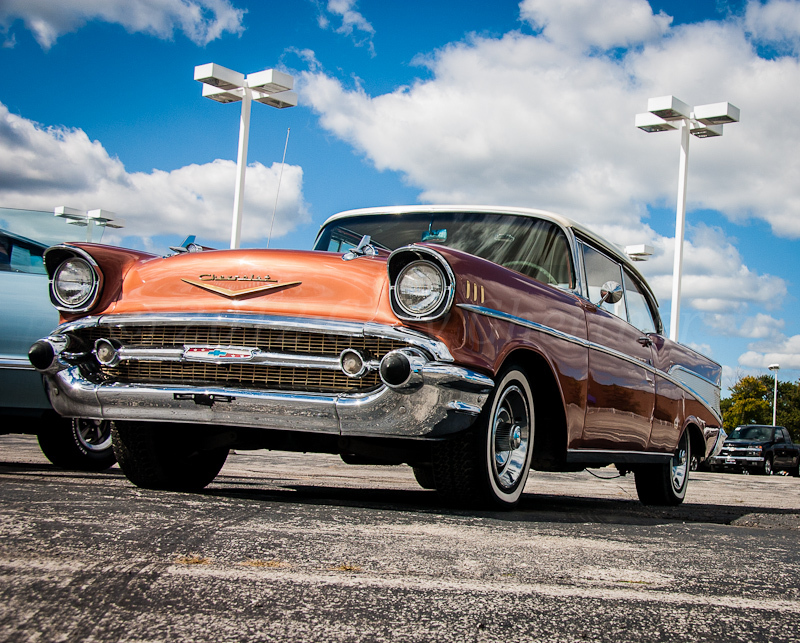 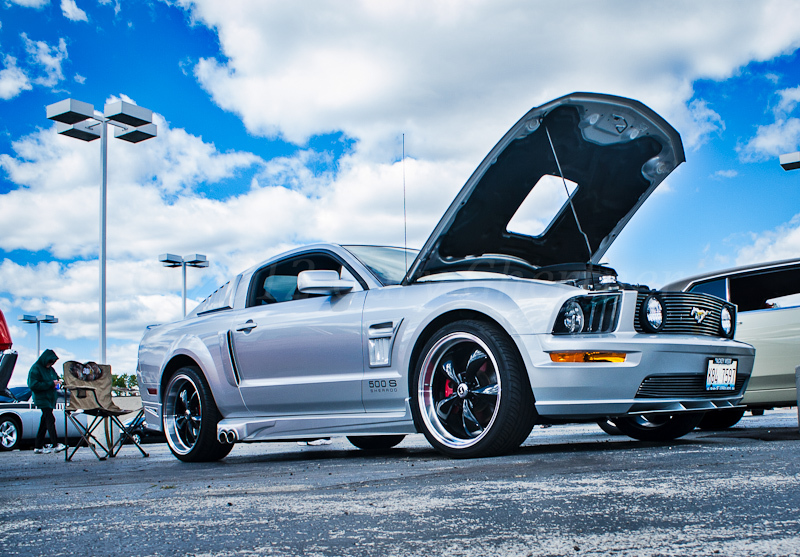 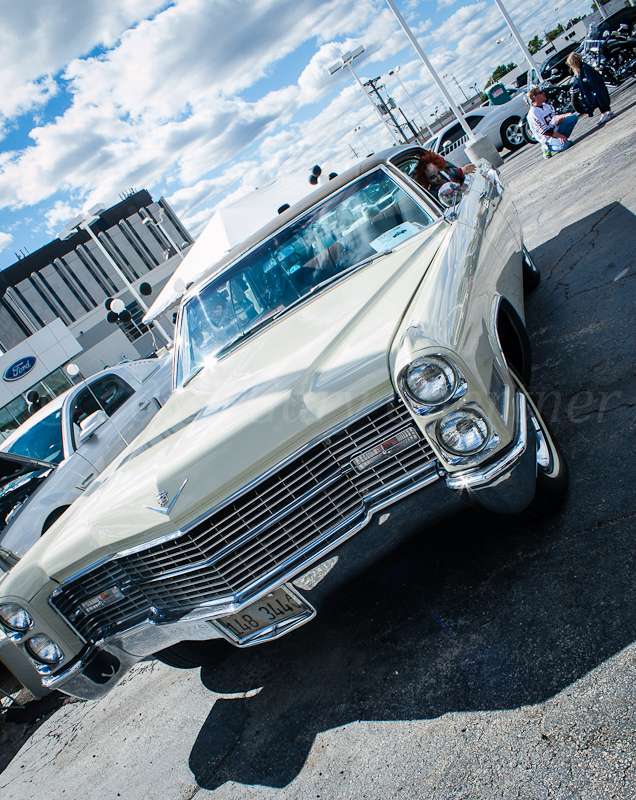 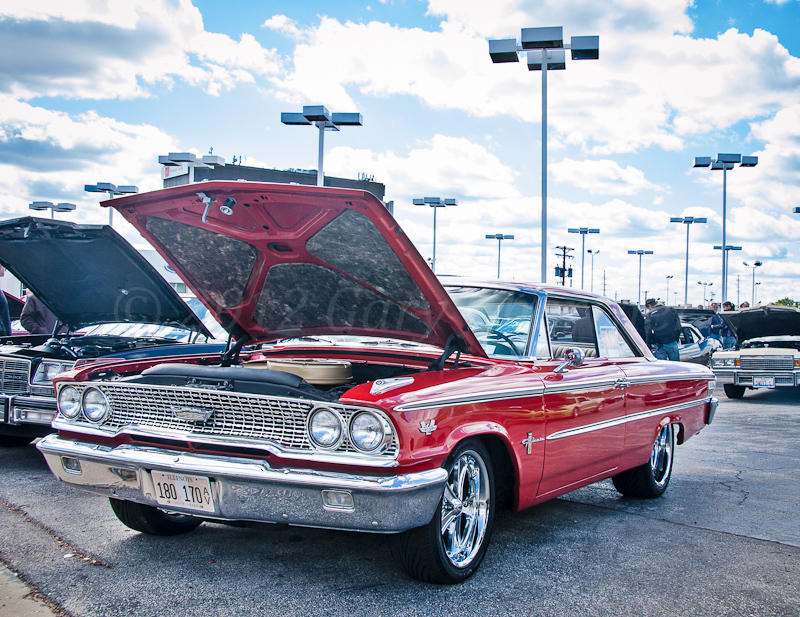 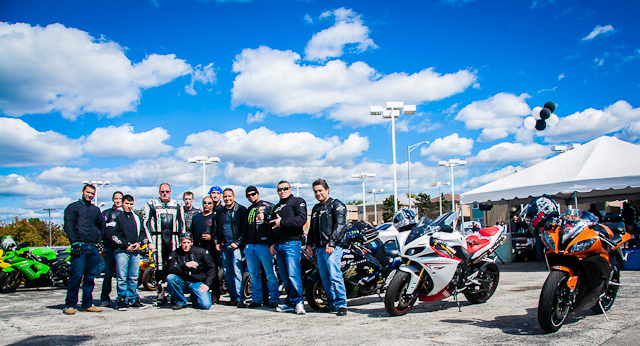 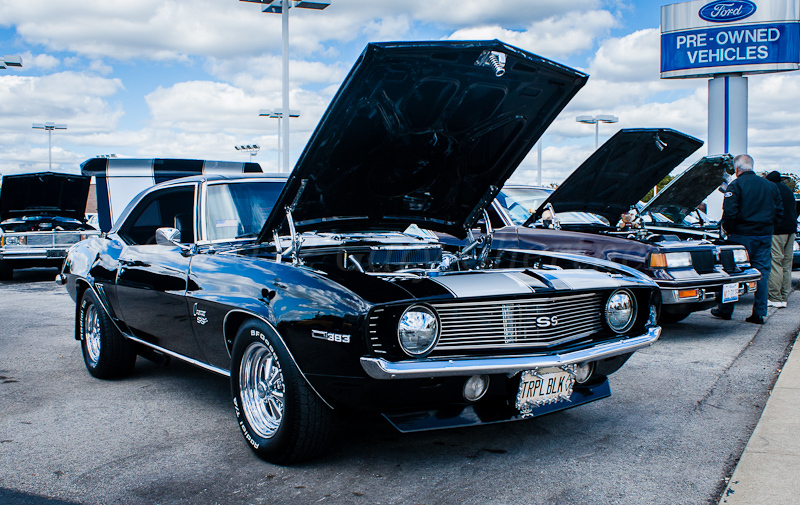 This entry was posted in Uncategorized and tagged 2012, Car_Show, Joe Rizza Ford, North Riverside, YouTube_Links. Bookmark the permalink.